These are my flatmates and their friends. 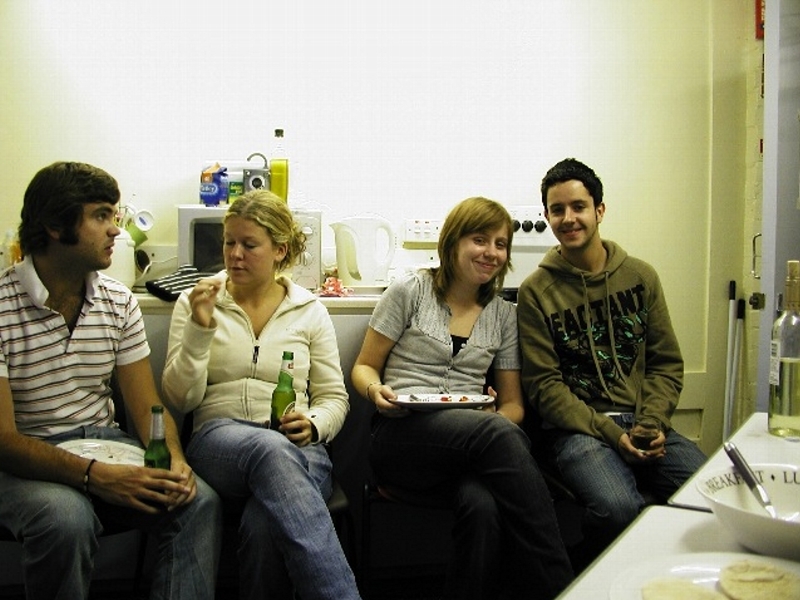 This photo was taken on Nadia's (second from right) "don't leave the flat" party. Nadia was considering of moving out of the flat as it was too noisy (as her room was facing the street). effectively to tell her not to leave.